On a monthly basis, the apprehensions decreased significantly during the first six months of Trump’s tenure and then began to rise. 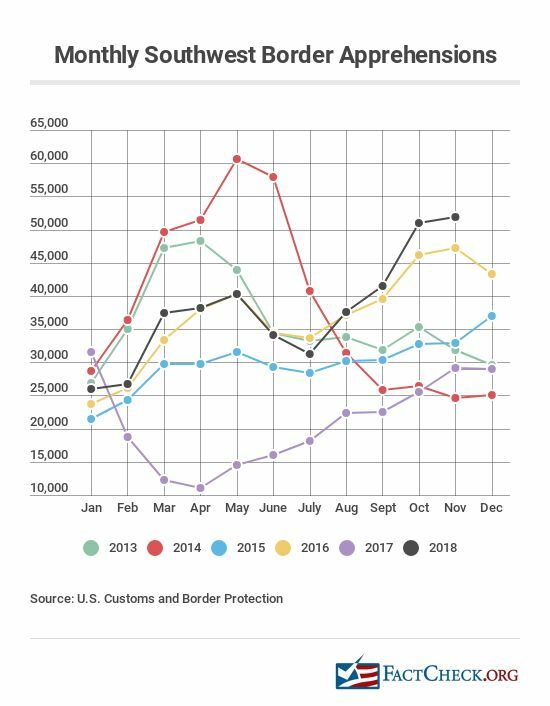 The number was actually higher in November (the most recent month for which the U.S. Customs and Border Protection has published figures) than it was when Trump was sworn in. 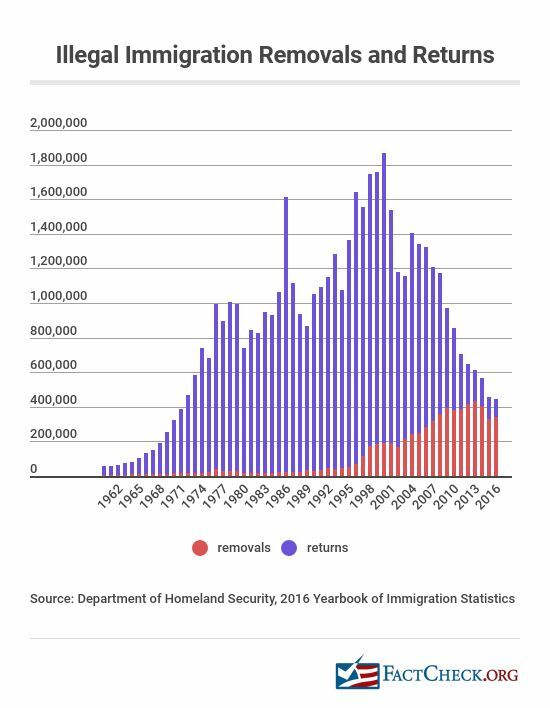 For fiscal year 2017, DHS estimated in a report released in August that there were 606,926 suspected in-country overstays, a rate of 1.15 percent of expected departures. The number of family units apprehended has increased since fiscal year 2013, the first year for which we have such data. 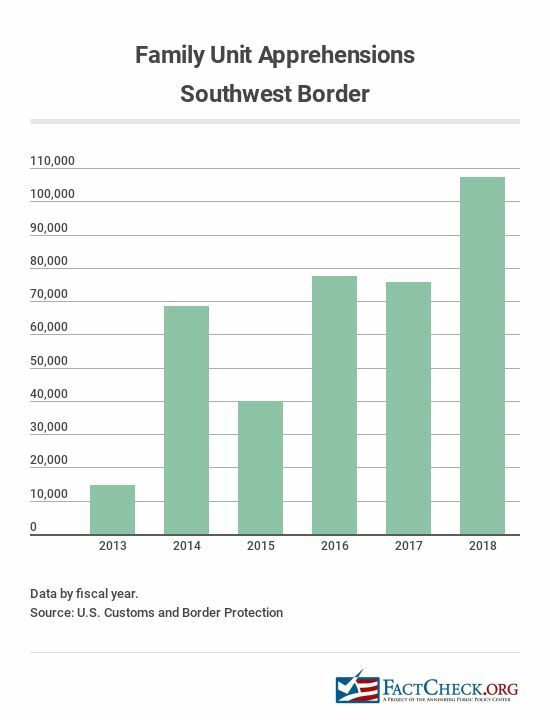 While 3.6 percent of those apprehended in 2013 were in a family unit, the proportion was 27 percent in 2018. The number increased significantly in fiscal year 2014 to 68,445. Then, it dropped the following year to 39,838, before increasing again in fiscal year 2016 to 77,674. The figure was similar in 2017, and it went up in 2018, to 107,212. 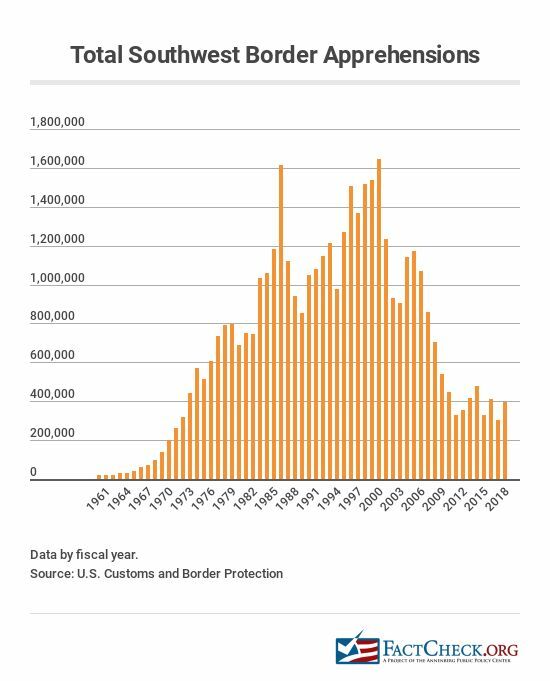 Using the same time period that we have for family units, the number of children under age 18 apprehended crossing the border without a parent or legal guardian was about the same in fiscal year 2013 as it was in 2017 — around 40,000. But it fluctuated in the years in between. In fiscal 2018, the number was 50,036. 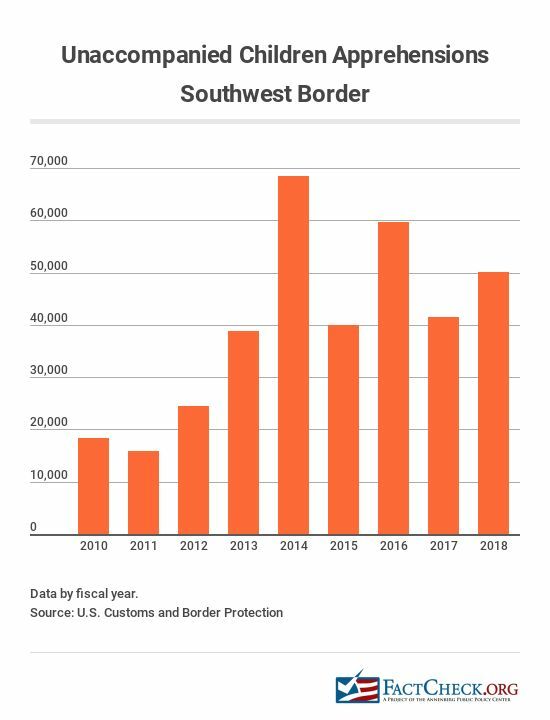 In 2014, the Obama administration dealt with a surge of unaccompanied minors on the Southwest border, largely due to those fleeing violence and poverty in the “northern triangle” of Guatemala, Honduras and El Salvador and false rumors about “permits” being issued, as we explained at the time. The number of apprehended unaccompanied children rose from 38,759 in fiscal year 2013 to 68,541 in fiscal year 2014. It went back down to just under 40,000 the following year. By early July, HHS Secretary Alex Azar said his agency would reunite nearly 3,000 children who had been separated from their parents. According to a Dec. 12 court filing in a case brought by the American Civil Liberties Union, there were 131 children still in custody separated from their parents; however, in more than 90 percent of those cases either the parents have indicated they won’t reunify with their children or officials have found the parents are unfit. DHS and HHS have not provided any figures on how many children were separated from their parents in prior years. 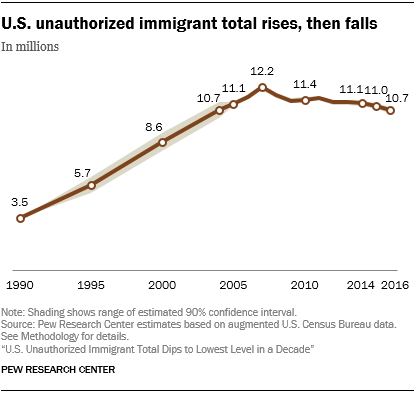 Previous StoryIs Illegal Immigration Linked to More or Less Crime?